But Trump is the commander-in-chief, and Pelosi is not. How jarring for her to be reminded that although she might pretend the Constitution grants her equal power to the president, only Trump can turn the bus around. 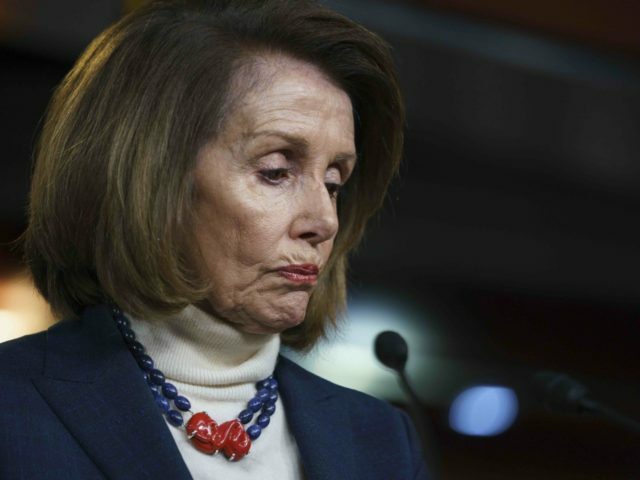 It was just the latest setback for Pelosi in the shutdown fight. She and Schumer insisted on equal television time after Trump’s Oval Office address last week — only to be mocked mercilessly for odd staging and absurd makeup. Pelosi must have thought her State of the Union gambit would be a winner. And it was — with the media. But her decision was soon exposed as a major blunder. Second, by refusing to hear the president’s speech, Pelosi effectively gave Trump license to give his speech anywhere — in the Senate, perhaps, or in a football stadium, far beyond the frowns of Pelosi’s new majority. Believe it or not, Trump is winning the shutdown. Moreover, though the public is somewhat inoculated against the media’s usual shutdown horror stories — they have cried wolf too many times before — there could be some real hardship ahead. Yet Trump is winning — because he is fighting back. That is partly a consequence of his position: the White House always has the advantage in a negotiation with Congress, especially a divided Congress. But Trump is also winning because he is fighting harder — and smarter — than any Republican has before. He began by picking the right battle. The one reason for which the public — or enough of the public — might forgive a government shutdown is national security. And Trump has framed the border issue as a national security problem, not a question of immigration policy. That means the shutdown can never be entirely his fault: it is his duty, as commander-in-chief, to refuse to sign a budget that places Americans in danger. Trump does not need to convince the polls that he is right. He knows if he begins to solve the problem, his support will return.